Graded FAIR 1.5 by SGC. 1887 N173 Old Judge cabinet card featuring Ed Seward (#408-1 pose) of the Philadelphia Athletics posed in front of an elaborate studio backdrop. This is a very attractive example with outstanding photo clarity. The photograph has ink notations along the bottom. The bottom edge of the mount is heavily worn, especially both lower corners. 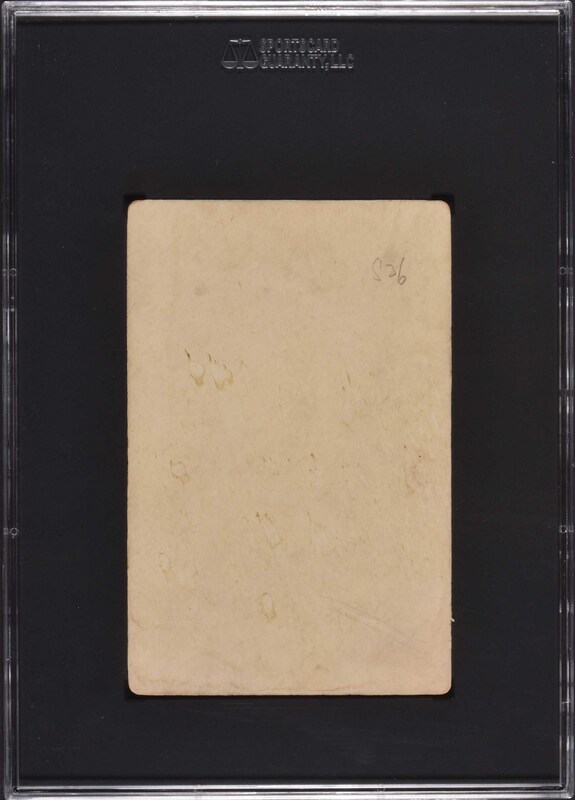 The blank reverse shows "S36" written in pencil and several light stains. 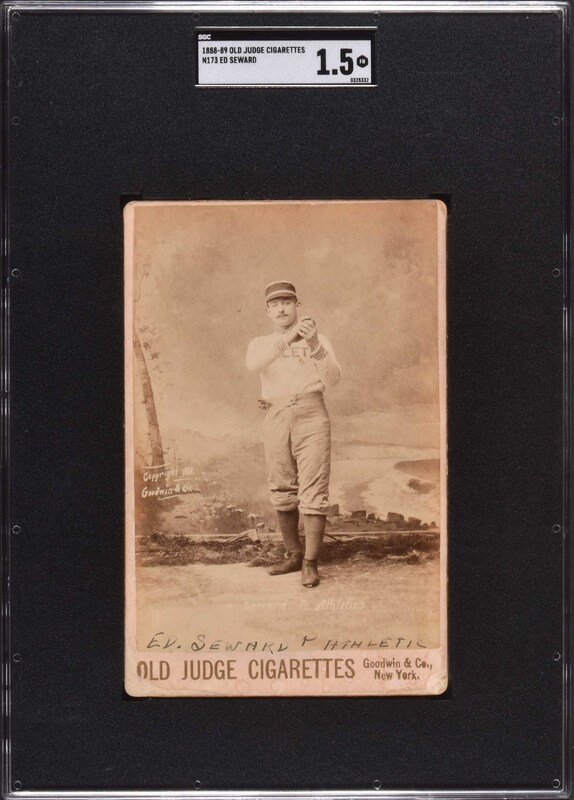 This is a very presentable lower-grade sample from one of the most revered and substantial of all nineteenth-century baseball-card issues. Reserve $300. Estimate $500/$1,000+.